A renewal is taking place in God’s church. People are realizing that we don’t need all the ritual and tradition we’ve added over the years. We’re returning to the simplicity of the earliest believers. But if we’re not careful, we could allow this renewal to divide us from those who don’t share our views. 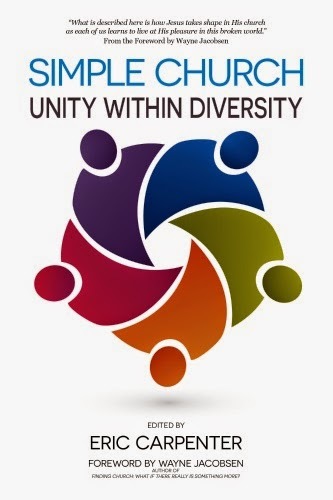 So I’m thrilled to announce the upcoming release of Simple Church: Unity Within Diversity. Twenty-four of us have come together to share the passions that drive us—while keeping unity as our focus. We certainly don’t agree with one another on everything, but we share a common Savior. In my chapter, I discuss the way we hold to our theological convictions. Why do we allow our differences to separate us? Can we remain united in Christ while maintaining our specific beliefs? Should we defend sound doctrine? What makes a belief heresy? Check out this excerpt for a sample. I haven’t read the other chapters yet myself, so I’m really excited to get my own copy!